Columnist: How Can Former Cop Collect City Disability While Working for FBI? How is it possible that the FBI agent who shot and killed an associate of a suspected Boston Marathon bomber has been pocketing more than $50,000 annually in disability benefits since he retired as an Oakland, California, police officer in 2004 at age 31? 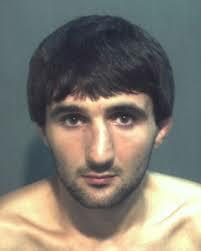 On May 22, 2013, Ibragim Todashev of Orlando, Florida, allegedly had just confessed to helping the late Tamerlan Tsarnaev kill three men two years earlier, when he threw a coffee table at an FBI agent and charged a Massachusetts state trooper with a pole. The agent fired seven shots. Todashev died. Two investigations found that the agent, named Aaron McFarlane, according to The Boston Globe, had acted in self-defense. During a police corruption trial of the infamous Oakland Riders, who were acquitted, McFarlane pleaded the Fifth Amendment when questioned about filing a false police report. He repeatedly injured a leg and an ankle while on the force and retired on medical disability. Why is he on disability? I don’t know. CalPERS, the state-administered retirement fund, can reveal only that he is collecting an annual pension of $52,000 essentially for life. If McFarlane has a physical disability, it was not so debilitating as to prevent him from passing a background check and training at the FBI’s academy in Quantico, Virginia. Privacy laws prohibit government agencies from revealing the nature of McFarlane’s disability. So readers will have to imagine for themselves how a former cop can be so disabled as to receive some $500,000 over the past decade yet still qualify for working as an FBI agent.